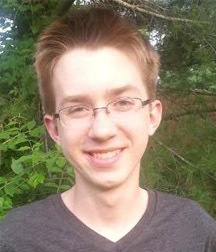 Dash Yeatts-Lonske is an 11th grader at Richard Montgomery High School, near Washington, D.C. In addition to writing poetry, he enjoys reading, playing ultimate Frisbee, and discussing the geopolitical future. His favorite map projection is Waterman Butterfly. Over the course of the past year, I’ve continued to write and perform poetry and was published in the print edition of Teen Ink. I hope to continue to explore issues of current events and global citizenship through my writing. To me, Writing for Peace is a vessel for empathy between people who have little in common. It strives to break down barriers which we’ve erected over millennia, and I’m thrilled to be a small part of it.